Are you looking to maximize revenue within your distribution programs? 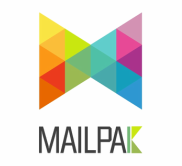 Allow MailPak's dedicated sales team to actively seek out national advertisers who are interested in reaching your distribution market. Our team will handle all aspects of the campaign right up to delivering the product to your distribution facility. Our specialty is in creating branded poly-wrapped packages that can be distributed alongside your product.